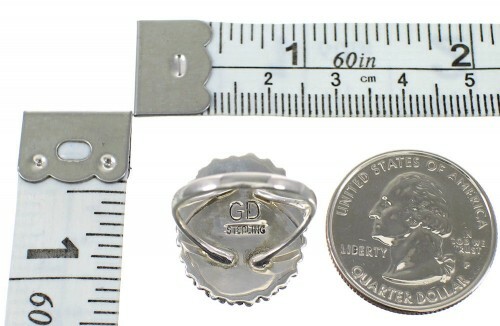 Ring is size 7-3/4, it measures approximately 7/8" long and 3/4" wide. 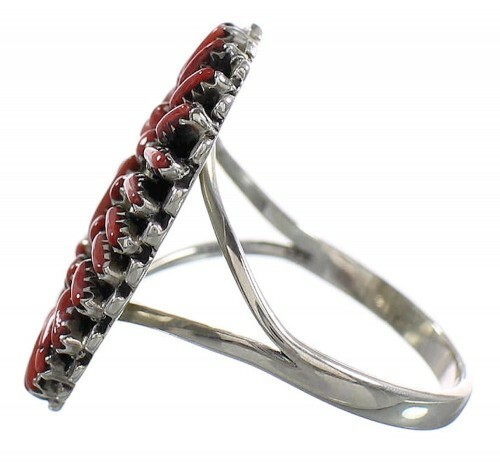 What a dazzling ring! 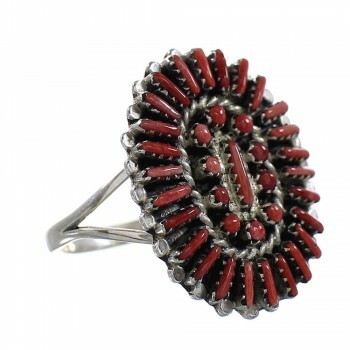 This ring is a gorgeous piece of jewelry that is hand made out of genuine sterling silver and real Red Oyster Shells. 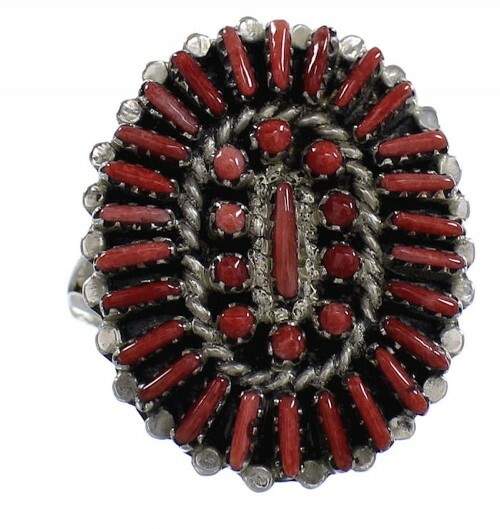 A total of THIRTY FIVE shells are delicately set in silver bezel while being accented with twisted silver and mini silver beads that give the ring a great finish. The ring is stamped sterling and hallmarked.